MG has improved its MG6 GT and Magnette diesel range by cutting CO2 levels to 129g/km. The improvements mean both MGs are an attractive proposition for fleet managers, with tax group D status and a BIK rate of 20 per cent. 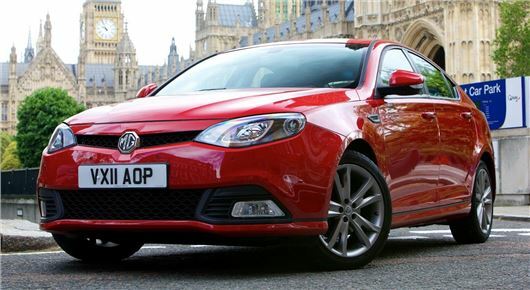 As well as cutting emissions, MG has also improved fuel consumption to 57.6mpg and improved overall refinement. The changes are applicable to all DTi-Tech diesel engines, although performance is unchanged, with 150PS and a 0-60mph time of 8.9 seconds. All DTi-Tech diesel engines are combined with stop-start technology and the lower emission rate means it will now cost £105 to tax a MG6 GT or Magnette for 12 months and £57.75 for six months. All diesel MG6s get upgraded trim, with entry S models receiving £1200 of extras, including satellite navigation, rear parking sensors and cruise control. SE models get upped to TSE spec, with front parking sensors, 18-inch alloy wheels, rear parking camera, leather trim and Bluetooth.